If you have grandchildren – or are getting ready to welcome one – you know the special joy they bring. After all, you can now leave all the heavy lifting to the parents and just enjoy connecting with them. 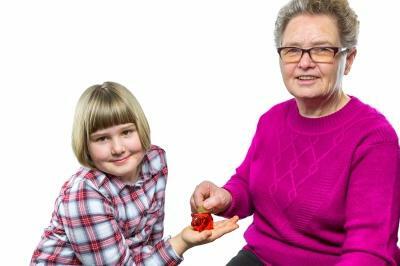 Many grandparents who enjoy financial freedom are often more than generous to grandchildren. And some even wish to see their grandchildren enjoy an inheritance now instead of waiting to pass along assets after they are gone. Pierchoski Estate Law can help! If that’s you, here are 7 things you should think about before you make gifts to grandchildren. Taxes. With the federal gift tax threshold at $5.25 million (double that for married couples), most people won’t have to worry about paying federal gift taxes. However, any gift to an individual that exceeds $14,000 each year ($28,000 for married couples) must be reported on a gift tax return. Consider a trust. There are many reasons why you should not give gifts of cash or assets to grandchildren, some that you may not even be aware of. Lots of cash could be fuel on the fire of bad behavior or undermine your own children’s goals for their children. To make a lasting gift, consider using a trust that will pass assets along to grandchildren safely and protect those assets from bad behavior, bad marriages and bad credit. One of the main goals of our law practice is to help families like yours plan for the safe, successful transfer of wealth to the next generation. Call our office today to schedule a time for us to talk about a Family Wealth Planning Session, where we can identify the best strategies for you and your family to ensure your legacy of love and financial security.